Our tariffs reflect a deep compromise on offering you the best service possible. 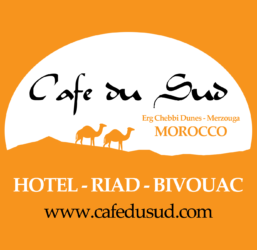 Bivouac Café du Sud offers different options of accommodation and activities to enjoy this region in the Sahara Desert and its dunes. All the services that we provide are of superior quality, aiming at clearly showing the hospitality in the south of Morocco. 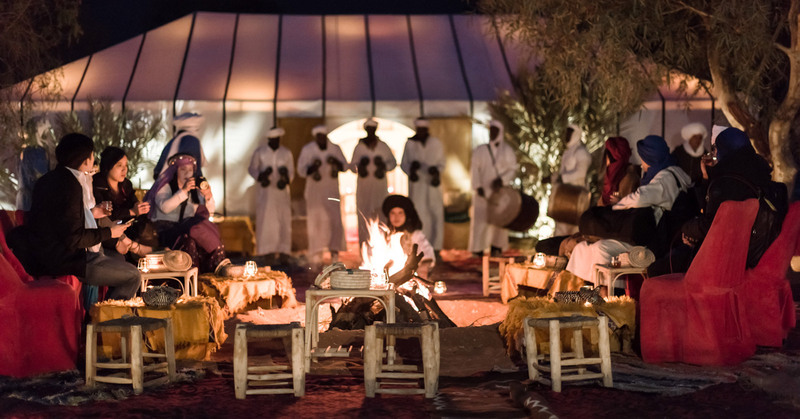 ◉ If you wish to book a tent or a desert excursion with Café du Sud, please use the booking page. For special groups/agency prices or common questions please use the contact page. Our office will get back to you within 24 hours. Thank you. ◉ Follow us on Facebook, Twitter, Instagram, and Google+. “He who leaves his house in search of happiness pursues a shadow“.